Tania Willis calls Columbus, Ohio home. She resides with her 3 kids (one BIG kid and 2 littles). Tania’s been married to the big kid for 13 years—he’s the most adoring father she could have ever dreamed of for her 2 spunky little princesses—Ashlyn Rose, 6, and Emma Grace, 3. Random Fact about Tania #1: She totally loathes shopping *gasp*. Random Fact #2: Tania LOVES peanut butter and dill pickle sandwiches. Before you say ewwwwwwww, she dares you to try it, even once! You might well like it. Random Fact #3: Tania has a black belt in Tae Kwon Do (but admits to being out of practice). Tania’s preferred approach to scrapbooking memories is to use everyday pictures of her children and add something unexpected in the journaling. She loves texture and dimension and lots of layers and will rarely call a page complete unless it has just a touch of handmade added into the mix. Most often it comes in the form of hand stitching on her pages. She’s been teaching and writing in some form or another for the past 8 years. 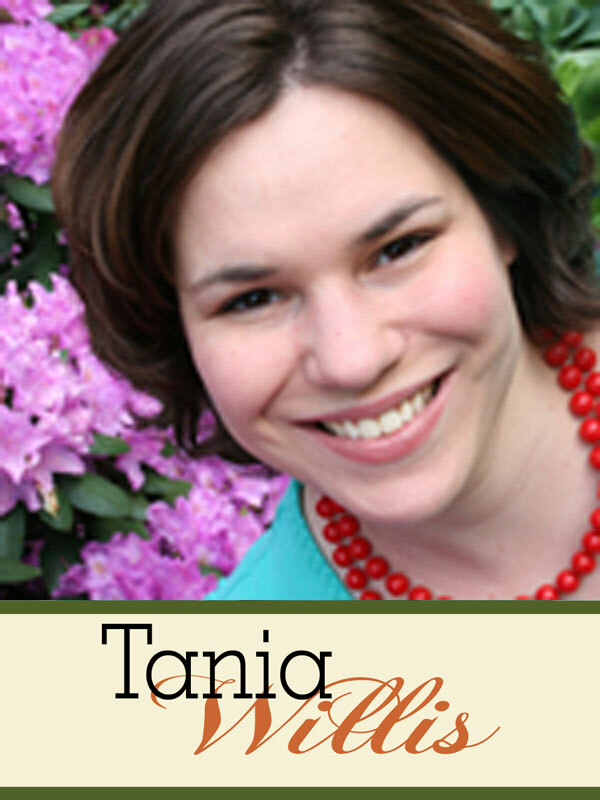 Tania has written scrapbook idea books and currently has 3 titles in print: “Circle Journals”, “Pens and Needles” and “Go Figure: Scrapbooking with Numbers”, all published through Pinecone Press. She currently is doing design work for Daisy Ds, Karen Foster Design and Little Yellow Bicycle as well as online articles and tutorials for scrapsupply.com. To learn more about Tania visit her blog: What’chu Talkin’ Bout Willis?